Flame-grilling is the tastiest way to cook a burger restaurant. Almost every time I visit the city centre I come across the fire brigade in action. Today the fire was in Grafton Street. Unfortunately most of the action was over when I arrived outside BURGER KING®. 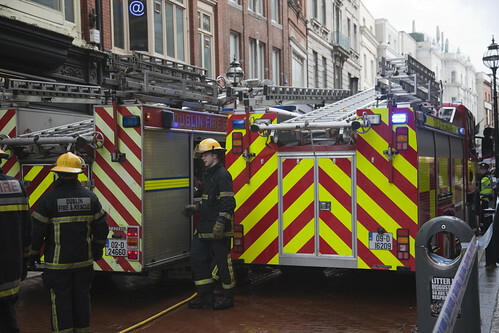 Five units of the Dublin fire brigade fought the blaze that broke out in Burger King on Grafton street at around 2 O’Clock. According to the firemen at the scene no one was injured … I did not speak directly to any of them but I overheard one being interviewed. In 1963, the first international franchise restaurant opened in Puerto Rico, and in 1981 the first Irish “Home of the WHOPPER®” opened on Grafton St, Dublin.